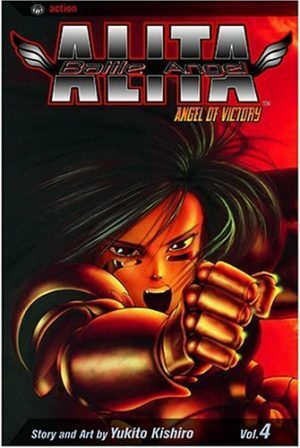 Since his introduction in Angel of Redemption the experimental scientist Desty Nova has been a target for Alita. She wants to ensure he’s kept a promise made to her, and she’s also agreed to track him down on behalf of the floating city of Tiphares. Nova comes from there, and the truth about the place was teased through the previous Fallen Angel, so fair play to Yukito Kishiro for disclosing that early here, although whether it’s the type of revelation that would drive someone mad is dubious, a point even queried in-story. Ultimately the point of issue is what it is that makes someone human. 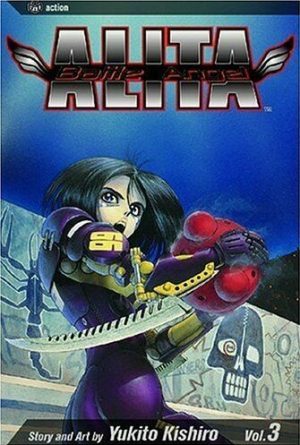 Alita has been constructed from mechanical parts, but the more she’s experienced, the more she’s learned. Does this now make her human? Does humanity exist in the body, the heart or the brain? Or are all three essential? 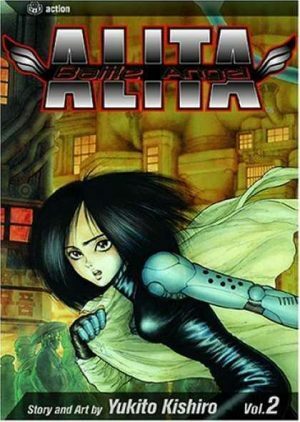 These are weighty questions, subtly reinforced as Alita lives through a number of dream scenarios and the experiences of others. 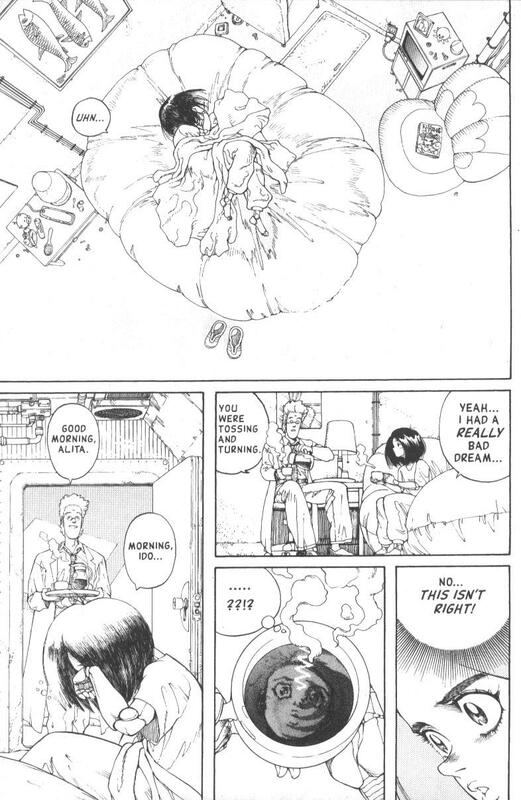 Considering how randomly Battle Angel Alita began, this is a phenomenal finish. Not only does Kishiro neatly resolve the questions that have run throughout, both spiritual and plot based, but he manages this very individually. 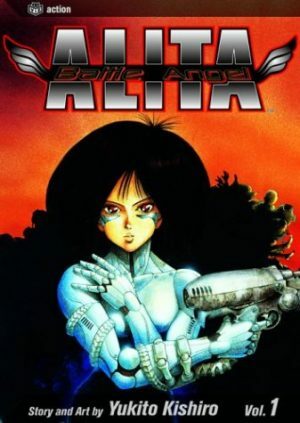 For starters, it’s not Alita responsible for everything that happens, some redemption coming the way of another cast member, and Kishiro not only ties up the plot of Alita in the present day, but works his way back to what Alita was in a previous life. It may no longer be as important to her as it once was, but readers haven’t forgotten. 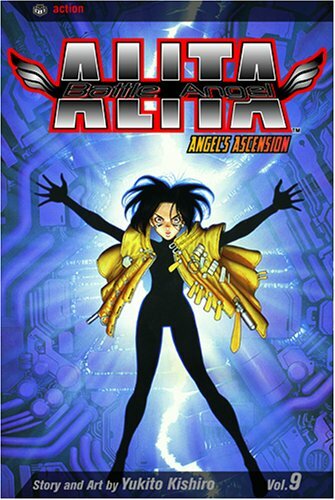 And even when all might seem said and done, Kishiro includes a long form epilogue into which he’s still introducing interesting ideas, not least Alita as the ultimate destroyer, the angel of chaos as an earlier book title had it. Yet despite this the ultimate resolution depends not on strength, but wisdom. The revelations throughout make perfect sense, but are ambitiously left field, and almost certainly not what Kishiro had in mind when he began the series. 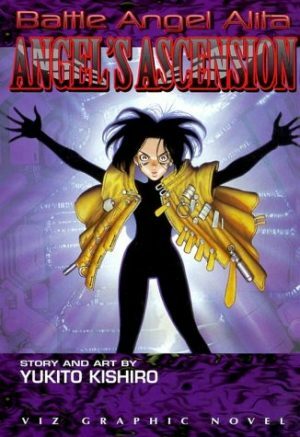 Angel’s Ascension is a literal title and provides a definitive conclusion to Battle Angel Alita, but Kishiro later considered how he might continue the series, so discarded the final half of Angel’s Ascension and spun an alternative continuity from that point into Battle Angel Alita: Last Orders. Volume five of Kodansha’s new larger format hardcover translations presents both endings along with other material.